Posted By:Unknown | At:6:36 AM Be the first to comment! DEARBORN HEIGHTS, Mich. (AP) — An autopsy on a 19-year-old black woman killed on a suburban Detroit porch where she’d reportedly gone to seek help after a car crash confirms that she died of a gunshot wound to her face. 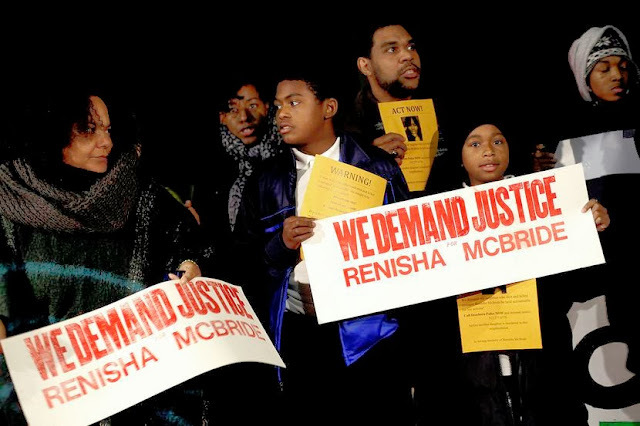 Renisha McBride, of Detroit, was fatally shot Nov. 2 in predominantly white Dearborn Heights. Civil rights groups have called for a vigorous prosecution in the case, saying McBride was targeted because of her race. The unnamed homeowner has told investigators he thought someone was trying to break into his home and that he accidentally discharged his shotgun. The Wayne County Medical Examiner’s Office report released Monday ruled McBride’s death was a homicide. Prosecutors say they’re reviewing whether to charge the homeowner, a 54-year-old man. Messages seeking comment were left with police and the homeowner’s attorney.